is based on the concept of Andrew Bawidaman. It was a commercial project I was doing for Hangar18Miniatures. 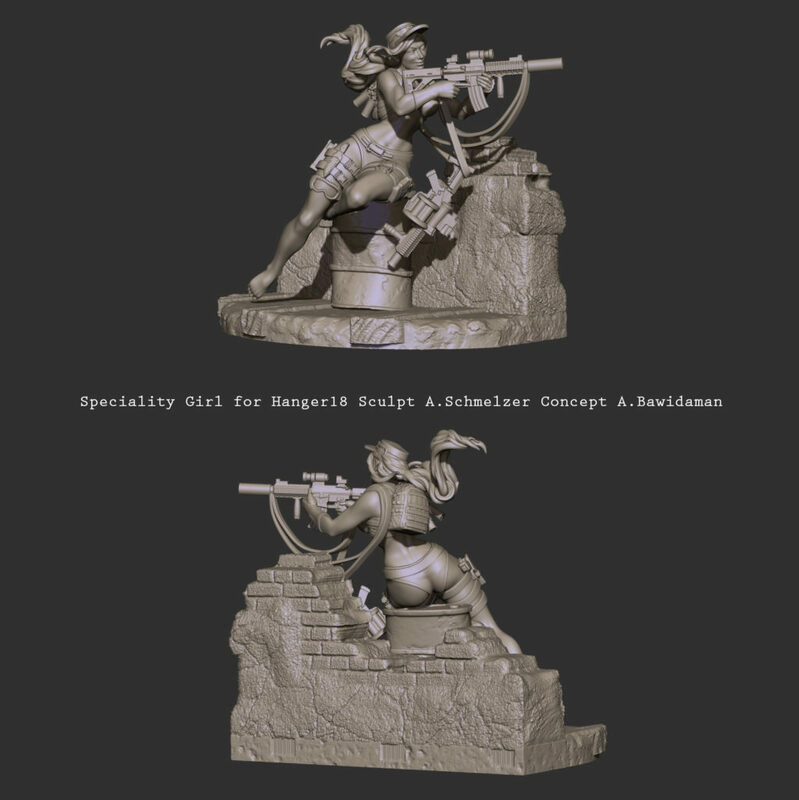 The Miniature is in 54mm scale. It was also part of a Kickstarter campaign. I was quite happy to see that the Kickstarter campaign was a total success. 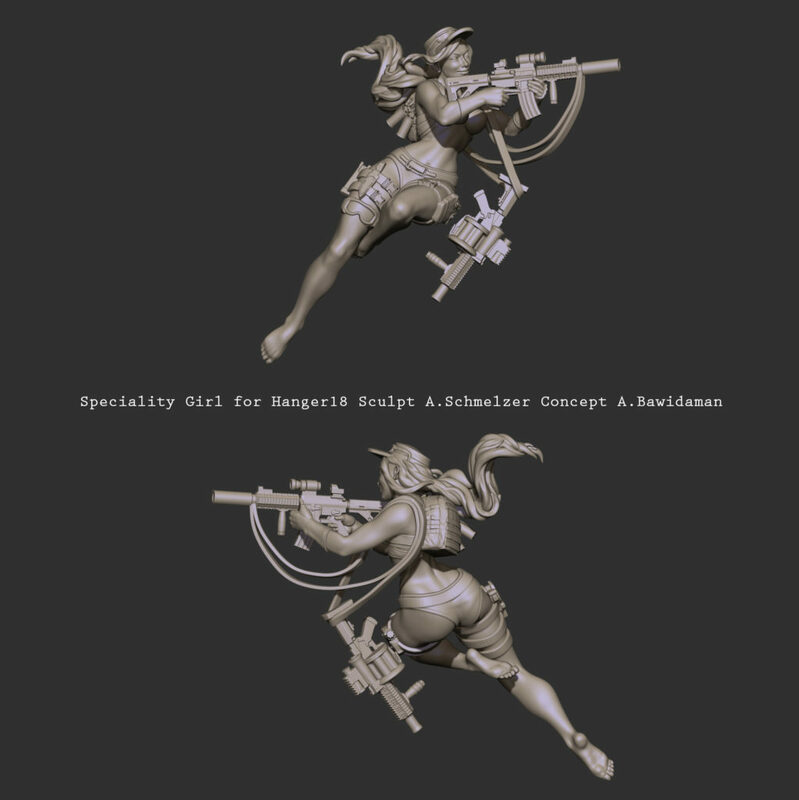 So all of the miniatures will actually be produced and can be purchased over Hangar 18’s Website. The wall was my ow design. I tried to use the environment to support her posture in give it overall a nice composition. If you like it then don’t hesitate to get your own piece and start painting.